– Full body energy field assessment using P.I.P. (Polycontrast Imaging Photography). 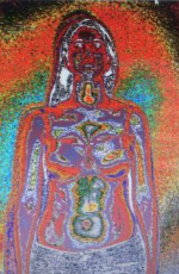 – Test and overview on the energetic state of the entire body using L.I.F.E. system. – Restoring balance and unblocking of stress by influencing the bio-field using L.I.F.E. system. – Summary report of session. No questions are asked of clients about current or prior psychological and physical conditions. Sessions are suitable for use in combination with allopathic and holistic therapies. ULLE TOOMEOJA SERVICES ARE COVERED BY 17 HEALTH INSURANCE COMPANY IN CANADA (ABOUT 70% OUR CLIENTS ARE COVERED). * ULLE TOOMEOJA is Registered Biofeedback Therapist Canada, Reg. No. 7009/8340). 1. Release of blockages and restoring balance of past emotional trauma, shock, conflict, tension, and genetic stress. Average therapeutic sessions: Most clients (70%) require only a single session lasting 1.5 hours or two 1 hour sessions. The therapist and client decide after one month if another session is needed. 2. Release of blockages and restoring balance of daily emotional, psychological and mental stress related to work, family or school. Average therapeutic sessions is once per month or as needed. Clients with daily stress include, therapists, doctors, teachers, businessmen, mothers and fathers. *** Balancing of negative thought patterns will last 3-4 weeks. To increase duration of effectiveness, the client must make changes in their life. If client maintains past thought patterns associated with stress, the body will regenerate the same wave patterns and revert back to original condition. For long term results Ulle provides support in changing negative beliefs into positive beliefs. 3. Release blockages and restore balance of negative beliefs and thought patterns associated with past memories. Average therapeutic sessions: 1 – 3 sessions. The therapist and client decide after one month if another session is needed. All sessions begin with a non invasive, full body energy field assessment using P.I.P. (Polycontrast Imaging Photography). 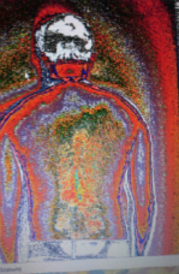 This energy field imaging software detects photon light emanated from the body. 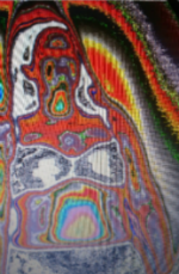 This allows for a real time visual assessment of the client’s energy field, aura, chakras and meridians, as well as individual organ energy fields. Existing and emerging areas of stress will be highlighted. The assessment will take 5-7 minutes. Next step with the L.I.F.E. system is to analyze the current energetic health condition of the client‘s entire body through reactivity testing. The L.I.F.E. system has three main components. The interface box, which generates the square wave signals, the computer based software and diode harnesses which connect the client to the system. Sitting in a chair, the rubber harness detectors are comfortably placed around both hands, both ankles and head. These will communicate real time biological data with the computer interface. 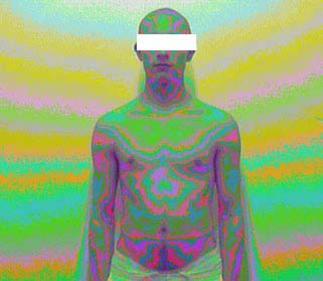 For 7-10 minutes, the computer will scan the body’s energy field and analyze more than 7000 frequencies for imbalances. The first session will focus on the client’s emotional and physical state while looking for energy blockages and imbalances. All sessions take into account the wishes of the client. Ulle interprets the data collected and determines the proper sequence to relieve energetic stress and blockages. During the session, Ulle will advise clients in proper nutrition and the use of medicinal plants according to the results of the scan and make recommendations to improve the clients quality of life. *** Positive changes in the client’s overall well being occur 1-5 days after completion of the session. Follow up session is the starting point for the work of the last session, and information obtained from the client’s wishes. Remove limitations so that you are empowered to experience your true self. What lies behind the reality of your disease? Feelings and sensations are stored in the cells of the body much like facts are stored in the cells of the brain. Negative or traumatic experiences, stress, unexpressed emotion, anger, fear, resentment or self-limiting beliefs can become “stuck” (or suppressed) in the body and inhibit or disrupt the flow of vital life force at a cellular level. These energy blockages limit our experience of life and can result in a lack of spontaneity, energy depletion, a feeling of unrest, agitation or dis-ease. Ulle Toomeoja uses L.I.F.E. system to target specific areas in the body where these “cellular memories” are stored, helping to release them on all levels – physical, emotional, mental and spiritual. As these blocks are cleared, the suppressed charge of energy dissipates and your energy field is re-balanced. The more your energy body opens and vital life force can flow freely through it, the closer you move to a natural state of being. LL.I.F.E. SYSTEM is advanced electro-physiological, bioresonance and biofeedback device. The L.I.F.E. System has been EC certified and registered (# G1070757680004) throughout the EUROPEAN UNION as a CLASS 2A MEDICAL INSTRUMENT and manufactured in GERMANY. That means a QUALITY GUARANTEE from the production of all components in the hardware, software validation and to the effects on the clients. This certification is the result of almost 2 years of tests, controls and documentation, and 2 double-blind studies has been performed, with significant results and the notified body is approved by TÜV (TÜV SÜD, ISO-13485-2003V). The L.I.F.E. System is THE FIRST BIOFEEDBACK SYSTEM OF ITS KIND, WITH A CLINICAL DOUBLE-BLIND STUDY, THAT PROVES THAT SYSTEM WORK AS INTENDED. The protocol helps correct imbalances to the clients electro-magnetic stress level. Stress begins when the body produces a negative frequency response to stimulus, which if not managed by the body’s own natural resources, can lead to the development of a negative adaptation response. If stress is not resolved bio-electrically, symptoms appear. Imbalances usually begin at the cellular level, progress to tissue and organ level, and eventually involve entire body systems. -The BIORESONANTS (B.R.) does not provide any form of medical or curative treatment for any human condition, whether pathological or not. -The B.R. 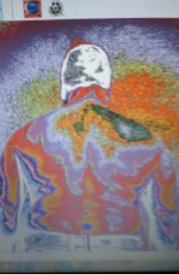 devices and methods of use are strictly performance enhancement tools; utilizing bio-information produced by electromagnetic fields supplementation to enhance peak human performance. -The B.R. devices is not intended to prevent, diagnose, treat, or cure any disease. -Information distributed with the B.F. is offered for informational purposes only and it should not be confused as promotional material. -The information on B.R. and testimonials are not intended to recommend the device as a drug or as a diagnosis for any illness or disease condition; nor, as a product to eliminate disease or other medical conditions. Nothing contained in the B.F. devices is to be mistaken as medical advice of any kind. What is Energy Field Assessment System P.I.P.? 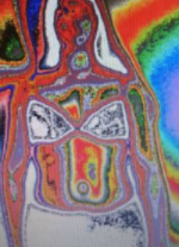 The Polycontrast Interference Photography scanning process is internationally recognized as the ultimate “Energy Field Assessment System”. It is an effective, safe and non-invasive assessment system. 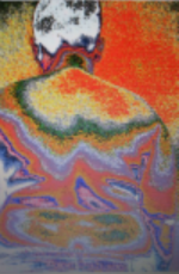 – show developing and existing stresses to the body and provides an evaluation of healing methods. Who Uses Energy Field Assessment System? MIT College (USA), World Peace Centre (INDIA); Zoroastrian College (INDIA); University of Greece (GREECE); The Centre for Human Energy Field Research (INDIA); The Psychical Research Group (UK); Anandi Niwas Hospital & Sonography Clinic (INDIA); The Energy Centre, Exeter (INDIA); The Sai Diagnostic Foundation; (INDIA) Essential Energies, London (UK). * Energy Field Assessment System can reveal both the symptoms and root dis-harmonies of a di-sease and demonstrates effectiveness of or treatment(s). * Also it is used to enable our practitioners and their patients / clients to see recordings of “before and after sessions” and thereby motivating patients to make better-informed health choices. 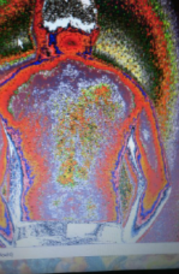 One of the most interesting feature of the Energy Field Assessment System is its ability to highlight potential and developing issues within the energetic field, many years before they manifest and cause dis-ease to the body. In certain circumstances, Energy Field Assessment System technology is able to pinpoint disturbed energy states before they become evident by standard diagnosis, allowing practitioners and healers the chance to nip problems in the bud. People at risk could be screened regularly so that hereditary or common dis-eases could be detected and remedial session given while it is still swift, cheap and easy to carry out. Internationally accepted and acclaimed, Energy Field Assesment System highlights areas of well-being and dis-ease with clear patterns and colors. 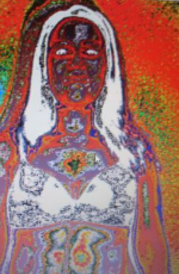 It reveals the interference and transference of light patterns, at and beyond, the visible spectrum and shows energy dynamics at work in a live real time image. It is easy to determine where stress exists and where potential issues could develop. It can also indicate healthy and pain free areas. Our trained practitioners can make an accurate energy field assessment that can lead to a much clearer understanding of a client’s health on all levels – physical, emotional and psychological. Areas of well-being are indicated by a mixture of lighter, brighter, balanced and more harmonious patterns, symmetry and colors. While dis-eased and stressed areas show as distorted, darker and congested pools of low energy colors. ULLE TOOMEOJA SERVICES ARE COVERED BY 17 HEALTH INSURANCE COMPANY IN CANADA (ABOUT 70% OUR CLIENTS ARE COVERED). 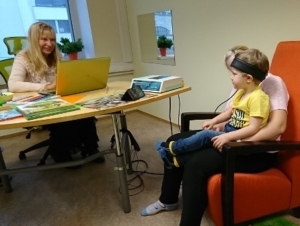 * ULLE TOOMEOJA is Registered Biofeedback Therapist Canada, Reg. No. 7009/8340).